Westbound: Exit 71 - Long Island Expressway; make right onto Route 24; proceed a few miles until you see signs on the right side of the road to the Criminal Courts Building. 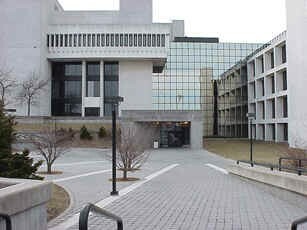 Eastbound: Exit 61 North - Sunrise Highway; proceed on Route 51 for approximately 7 miles; Criminal Court Building is located on the left. The County Court of Suffolk County is located a the intersection of County Road 51 (Riverhead-Moriches Road) and County Road 98 (Nugent Drive), approximately four miles south of the Long Island Expressway on exit 71 and 8 miles north of Sunrise Highway on exit 61.